tasks (written in my Limelife Holiday Planner). It's officially that time of year! The most wonderful time, sometimes (ok, most of the time) a very stressful time, but always a time that gives us all warm fuzzies when we see the lights, decor, and family movies we grew up with on TV. Continuing fun family traditions is one of the best parts of the holiday season. Whether it's driving around looking at Christmas lights, baking cookies, or going to see Santa, traditions are a BIG part of Christmas. One tradition many families have is hiding and posing that pesky elf that reports back to Santa. However, at my house we do the whole elf thing a little bit differently. Now, don't get me wrong, I think Santa's little spy elf is a fun tradition - for both kids and parents. But I wanted to also incorporate the importance of giving back this season with our elf fun. I wanted to teach my son that Christmas is much more about giving than it is getting. So the elves that come to our house are a little different. Every year, on December 1st, Santa drops the elves off at our house. The elves are on a mission to help us complete one kindness task each day. Sometimes the tasks are something small like baking cookies for a loved one or making a card for a neighbor. 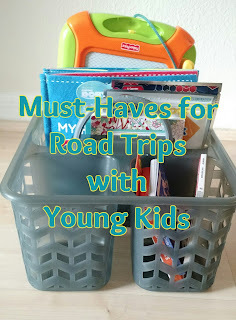 Sometimes they are bigger tasks like donating some of the toys no longer played with in our home, shopping for and donating toys to a local holiday charity, or donating canned goods to a food drive. Whatever the task, my son is excited to see his note from his elf friends each morning and loves to participate in the act of kindness. Then, on Christmas Eve, when Santa comes to bring presents, he also picks the elves back up to go home. The elves usually leave behind a small Christmas gift and thank my son for helping them spread joy and kindness to others. Beyond being fun and reminding even my husband and I to make an effort to give what we can, this also normalizes the act of giving back and thinking of others at a time when most are consumed with what they are getting. I'm hoping it strengthens my son's empathy and broadens his perspective as he gets older. I also hope it helps him appreciate what he has and learn to celebrate not through gifts and spending copious amounts of money, but to instead celebrate with kindness. 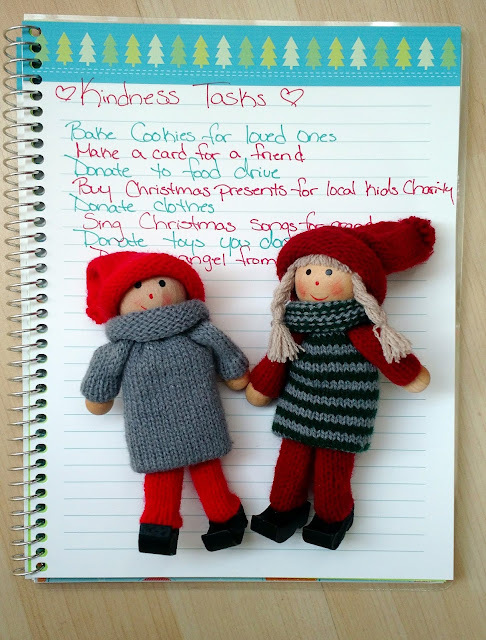 *Tip* Write down kindness task ideas as you come up with them a couple of months before December. I tend to have serious brain farts if I have to come up with them on the spot! Writing them down before hand not only keeps me from repeating tasks, but also gives me the opportunity to incorporate all of the activities we really enjoy into our tasks. Lovely. Interesting blog. It's a great inspiration for all. Thank you so much sharing! I am happy that I have visited your blog. This blog is very nice as well as very informative. I loved it. Fab!! I really appreciate sharing this great. You have good writing skill and it makes the reader to read your articles more and more. Basically I'm a writer I would like to share my website here Best Dissertation Writing Service and sometimes I wait for your post to get more this type of blogs. I am glad in being visited your blog. Great blog you have Thanks for sharing.